There’s an epic soundclash taking place North of the Border. Toronto-based group the Battle of Santiago combines classic Afro-Cuban rhythms and vocals with a distinctly Canadian post-rock spirit and sensibility. The result is a wholly unique sound that tells a universal 21st Century story, transcending borders while staying rooted in one city’s immigrant experience. While Canada is well-known for its thriving indie rock and electronic scenes, with acts as diverse as Grimes and God Speed You Black Emperor, the country is seldom thought of as a Latin music hotbed. But Toronto hosts many thriving immigrant communities — including one of the largest Cuban expat communities in North America — and the Battle of Santiago is strongly rooted in the city’s wealth of Cuban musical talent. Founded in 2011, The Battle of Santiago has been marked by this restless, transnational experimentalism since the beginning. 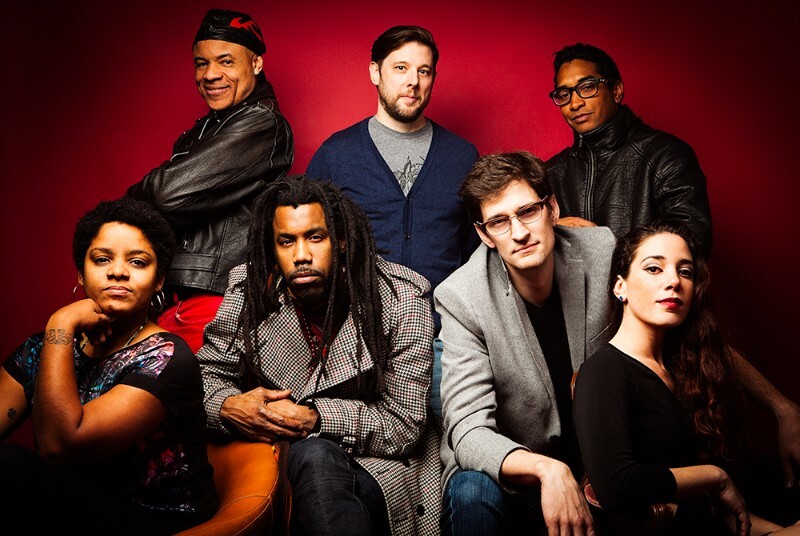 The group has evolved from an exploration of experimental rock grounded in drummer-less Latin percussion, to an instrumental groove machine, to the tight Afro-Cuban post-rock outfit that it is today. That evolution can be heard on the band’s two full-length albums, 2012’s Full Colour and 2013’sFollowed by Thousands. Now, with the addition of vocals, the Battle of Santiago is poised to break new ground in 2016 with their new EP. Set for a 2016 release on the band’s own Made With Pencil Crayons label, this EP release dives deep into Afro-Cuban waters, mixing Afro-Cuban Yourba chants with subtle electronica (“Barasu-Ayo”) and rumbas with post-rock experimentalism (“Asi Vengo Yo”). The sound is more than just Radiohead meets Irakere, though: there’s cumbia tinged with dub (“Cimmaron”), anthemic Latin rock (“Pa Bailar”) and even the smooth funk of “Complica”. The Battle of Santiago doesn’t skimp on their live show, either. Their Revolucion Perpetua multimedia show, developed with chilean-born artist/designer Patricio Davila, integrates digital visual art, live musical performance and audience interaction. The result is a one-of-a-kind organic audio / visual installation not to be missed.